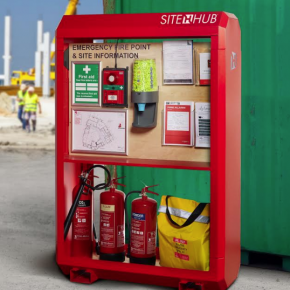 Developed specially for the construction industry, SiteHub is an all-in-one meeting point, notice board and emergency station for fire, first aid and health and safety equipment for any site. 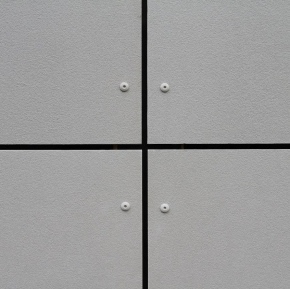 Built to last, SiteHub is weatherproof thanks to the anti-corrosive coating. 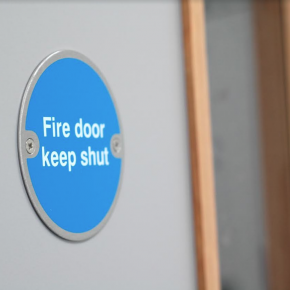 It is self-supporting and has a highly visible red finish to ensure all workers can quickly locate and access equipment in an emergency. 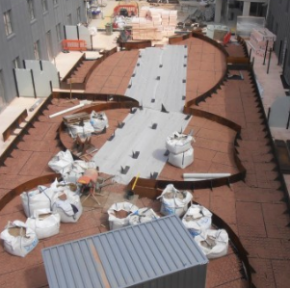 The Sitehub is double sided for maximum functionality and can be moved around site by a forklift or telehandler. 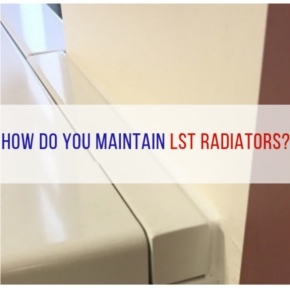 It can be equipped with a lockable metal cabinet for secure storage of assets, as well as castor wheels that allow the unit to be moved easily around site by hand if required. Bradley Markham, director at Bull Products, commented: “Here at Bull, our ambition is to develop products that will protect workers when they come face-to-face with potential hazards on site.